When Crispy Edge founder David Dresner and Café Napoli co-owner Kye Pietoso met one evening in downtown St. Louis, they discovered a mutual admiration for fine food…and pot stickers. 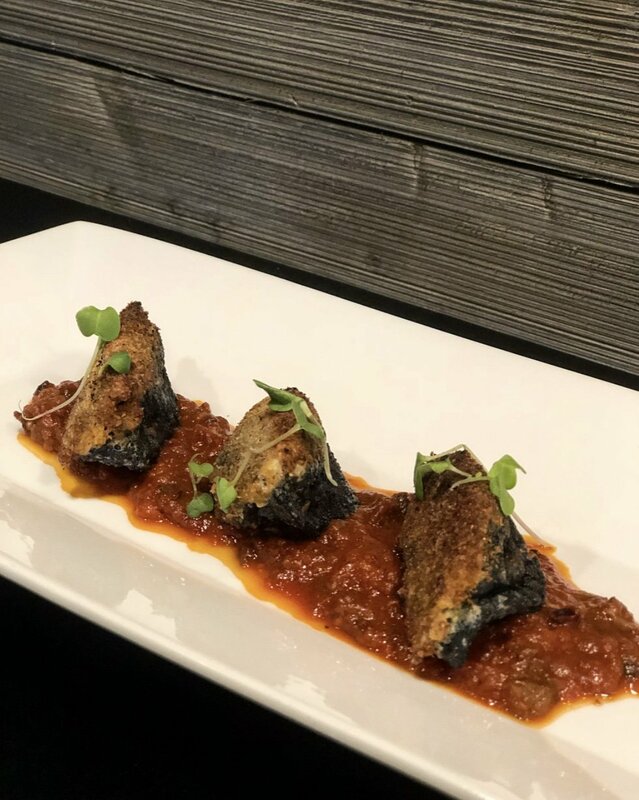 Dresner had been developing a squid-ink version and decided that Café Napoli would be the ideal place to launch the calamari-inspired ’sticker, stuffed with squid, Pecorino, garlic, and chile, with an Italian bread crumb edge and garnished with housemade marinara. The appetizer, dubbed the Bed of Diablo, is available at Café Napoli for “quite a while, in all likelihood, given the overwhelming response,” says Pietoso. The restaurateurs say it’s the beginning of a long-term collaboration. 7754 Forsyth, 314-863-5731.